It takes time and experience to know how to give with no conditions. It can be so easily said or thought, that if one gives, one should receive something back. 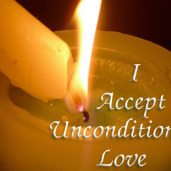 No, giving unconditionally from the heart, means that you do so without any expectation at all. God will reward you. 1 John: 3:17 But if anyone has the world's goods and sees his brother in need, yet closes his heart against him, how does God's love abide in him?